To keep your hands looking young and feeling soft, you need humectants and emollients. You need the best hand lotions and creams to counteract the challenges of daily life. Don’t let frequent hand-washing, hand sanitizers, and cold dry air wreck your hands any longer. 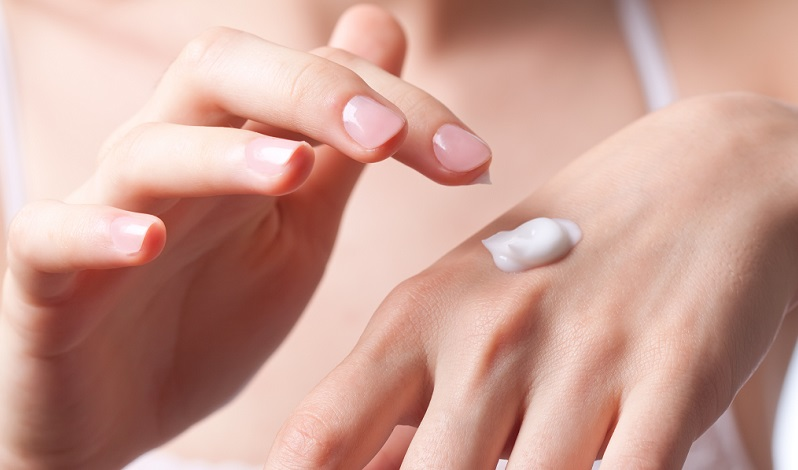 Anyone can benefit from using hand lotion. It doesn’t matter how young or old you are, whether you’re a guy or a gal. Since there are so many brands on the market, we narrowed down the most popular and best-selling hand crams to the list in this review. Let’s take a look to see which one is the best for you. We’ll begin with hand creams created by L’Occitane, a French company known for luxury beauty products made with cruelty-free Fair Trade ingredients. Once you try one of these lotions, it will be hard for you to be happy with a cheap brand. Did you know that L’Occitane gets their Eco-Certified shea butter from women in Burkina Faso, Africa? It’s through a Fair Trade deal so that the women receive just payment for their work, plus the shea butter is harvested and manufactured in ways that don’t harm the environment. The L’Occitane Shea Butter Hand Cream is a rich mixture of 20% shea butter, honey, coconut oil, and almond extracts. It works exactly as it should to soften dry hands. It’s so deliciously effective that it’s won awards from Essence, InStyle, and Harper’s Bazaar. What do regular customers say? They write that it’s not greasy on their skin and it absorbs in under a minute. Shortly after they rub it into their hands, they can feel a difference. And they notice that cracks and cuts seem to heal faster when they use this hand cream. One other benefit of the L’Occitane Shea Butter Hand Cream is that it comes in a tube large enough that it lasts for a while because you don’t need to use more than a pea-size amount each time. If you’re not a fan of shea butter, you may appreciate L’Occitane’s Almond Delicious Hands Cream. It’s a little thinner and lighter in weight because its formula is based on silky almond oil. It absorbs quickly and softens skin immediately. L’Occitane’s Lavender Hand Cream contains both shea butter from Burkina Faso and lavender essential oil from plants harvested in France. Users love that the fragrance melts away stress while the cream makes their hands feel so much softer and better. L’Occitane isn’t the only company that includes French lavender in their products. Crabtree & Evelyn also make good use of both French lavender and verbena in their Ultra Moisturising Hand Therapy. It’s an intensely hydrating formula that includes ceramides, Vitamin E, and Macadamia Nut Oil as well as myrrh. The myrrh extract goes the extra mile to heal up damaged cuticles and strengthen nails. The Gardeners formula of Crabtree & Evelyn’s Ultra-Moisturising Hand Therapy isn’t scented with lavender, but it also contains Macadamia Nut Oil, Shea Butter, ceramides, Vitamin E, and myrrh. This powerful hand cream goes on thick and smooth and noticeably softens hands within moments. If you enjoy the scent of roses, you may appreciate Crabtree & Evelyn’s Rosewater Ultra-Moisturizing Hand Therapy. It has the same base as the other two hand creams described above—a super-hydrating mix of shea butter, macadamia nut oil, ceramides, Vitamin E, and myrrh. One point to notice with all three of these lotions is that their tubes are quite small, just under an ounce each. This is perfect if you want travel-size, but not ideal if you consume a lot of hand cream. OPI’s Avojuice comes in nine different fruity scents and two sizes. This light formula is based on avocado and aloe for hydration that lasts up to 24 hours after you smooth it on your skin. Users appreciate the non-greasy feel and the way it sinks in quickly. Fragrances include Ginger Lily, Cran and Berry, Coconut Melon, Jasmine, Mango, Peony and Poppy, Sweet Lemon Sage, Vanilla Lavender, and Violet Orchid. The two bottle sizes are nice for putting on your bathroom or kitchen counters, or your desk. Israeli company AHAVA bases their powerful Mineral Hand Cream on healing ingredients harvested from the Dead Sea. Besides these precious minerals, the cream contains witch hazel extract to smooth skin and allantoin to heal cracks and blemishes. Fans of AHAVA’s Mineral Hand Cream report that it’s the longest-lasting hand lotion they have ever used. Their hands feel silky smooth without being greasy. Some have discovered that the cream still works after they wash their hands. It has a light floral scent. If floral and fruity scents aren’t for you, why not try Jack Black’s Industrial Strength Hand Healer? It has a minty fragrance, and it’s been tested by working people with rough, chapped hands like chefs and carpenters. It’s so good it won an award for Best Hand Cream 2013 at the Details Grooming Awards. The formula contains Vitamins A and E, macadamia nut oil (skin softener), eucalyptus (antiseptic for healing), allantoin, and glycerin (for hydration). It does not have alcohols, colorants, parabens, or gluten, plus it’s cruelty-free and vegan. It’s good for all skin types, even sensitive skin. Hundreds of users on just one retail website say they love this hand cream. It doesn’t sting when applied to chapped hands, and its healing powers quickly renew dry skin. It’s smart to protect your skin from dry air and too much water, but sunscreen is a great idea, too. Our hands see a lot of sunlight and UV rays do silent damage over the years. If you don’t want to end up with age spots, consider the Supergoop! Forever Young Hand Cream. It has an SPF (sun protection factor) of 40, ideal for hours in the sunshine. This travel-size hand cream does more than block UV rays. It softens your skin and moisturizes it while it brightens your skin tone over time. The skin brightening comes from sea buckthorn fruit, rich in omega-7 fatty acids. It’s the meadow foam seed and Argan oil that makes your skin feel younger. It’s so good that it won Allure’s Best of Beauty Award in 2014. Fortunately, it does not contain parabens, fragrances, or Oxybenzone. You may be noticing a trend among hand lotions. Many of them rely on macadamia nut oil to soften dry, chapped skin. The bliss High Intensity Hand Cream is no exception. It includes grape seed extract to help make skin silky soft without feeling greasy. Loyal fans say this is their go-to winter hand cream. The biggest complaint seems to be the price compared to the compact size of the tube. Maybe you got hooked on Molton Brown products when you stayed in hotels. Maybe a friend let you try this Enriching Hand Lotion and you fell in love. It comes in seven unique and zesty scents, from Lime and Patchouli to Rok Radish and Basil. Each set of ingredients has its own special effect that adds to the base hydrating formula. Molton Brown says results from a clinical trial showed that skin moisture levels remain doubled up to a day after you apply it. They also say 100% of their customers would recommend these hand lotions to a friend. The light, almost watery texture of Mario Badescu’s Special Hand Cream is deceiving. It seems thin and it absorbs quickly, but it’s packed with nutrients like Vitamins A and E, plus wheat germ oil and honey. Fans say the Special Hand Cream has a pleasant scent and doesn’t leave skin feeling greasy. They like that it doesn’t take much of it to get results. People in Japan have been using Yu-Be products for over half a century. Now the secret is out and Westerners are enchanted, too. The Moisturizing Skin Cream has a concentrated glycerin base that hydrates while Vitamins E and B2 nourish and heal cracked skin. Camphor gives it a distinct scent but also soothes itchy raw spots. Gardeners, mechanics, craftspeople, and anyone who has to put their hands through the stress of harsh conditions appreciate O’Keeffe’s Working Hands Cream. It has no scent, it’s not greasy, and it’s safe for persons with diabetes. The hypoallergenic formula doesn’t depend on fancy extracts and herbs. Instead you’ll find that the glycerin and paraffin draw in moisture and seal it in to heal chapped skin. If you’re on the fence about trying it, O’Keeffe offers a 100% money-back guarantee. If you’re desperate for a quick fix for your dry, rough hands, exfoliating may seem like a crazy solution. Scrubbing off the dead skin makes it easier for your hand lotion to penetrate and get to work. While you can make a cheap scrub at home with salt or sugar and olive oil, why not enjoy one of these tasty and effective products instead? You may have enjoyed ArtNaturals Himalayan Salt Body Scrub in a spa or salon. The pink sea salt heals skin and purifies it while it removes dead skin cells. But it’s not just a scrub—it has Jojoba and Macadamia Nut Oils to soften and sooth. Use this two or three times a week on your hands and body to enjoy to keep your skin young. L’Occitane makes a Shea One Minute Hand Scrub that exfoliates and hydrates skin. Besides Shea Butter, it contains sweet almond and grape seed oil. If you need to wash your hands a lot, try to use warm water instead of cold or hot. Choose a mild soap if possible. Trade off washing with soap for alcohol-based sanitizer gel or wipes because they are often gentler than soap and water. Exfoliate with a scrub and use a good quality hand cream. Put new lotion on each time after you wash and dry your hands. At the beginning of this article, we mentioned emollients and humectants, the two main ingredients in hand lotions. Emollients are lubricants that fill in the cracks of your skin and glue together the dead skin cells on the surface. They make your skin feel soft. Common emollients are shea butter, cocoa butter, beeswax, lanolin, jojoba oil, isopropyl palmitate, propylene glycol linoleate, squalene, and glycerol stearate. Humectants take moisture from the lotion and the air around you and sink it into your skin. Common humectants in lotions are glycerin, grape seed oil, urea, lactic acid, hyaluronic acid, and sorbitol. If you have severe chapping, consider using a thick cream until your hands start to heal. You can switch to a lighter lotion to maintain healthy skin. In fact, to get the most healing done as quickly as possible, slather on a thick layer of cream and wear gloves (or socks) on your hands to bed. When you wake up in the morning, you should see a dramatic difference. We hope our review of the best hand lotions and creams helped you find the perfect one for your hands. Pro tip: lotions make fabulous gifts for people, even those who would never admit to using one. Check back soon for reviews of top personal care products.